De gustibus non est disputandum. "In matters of taste, there is no argument." 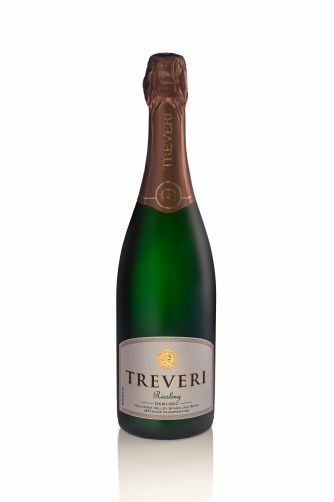 Treveri Cellars Sparkling Riesling boasts a refined and classic semi-dry flavor, seizing the senses and conquering the palate. Sugar content is 34 grams per liter. From Dean Rosenthal of Port Ludlow, Washington on 8/6/2015 . My wife and I moved from the heart of New York State Riesling country to Washington State 9 years ago. We did not miss the snow and brutal winters but we did miss sparkling Riesling. Finally, a great one is being made in Washington State, and boy is it good! It is crisp, not too sweet, and not too dry. It has fantastic balance. We brought it to a wine tasting party and it was the hit. Not a single person had ever tasted a sparkling Riesling. Most were surprised that it was even made. Our only problem with it is that it is not on the shelves of most grocery or liquor stores. 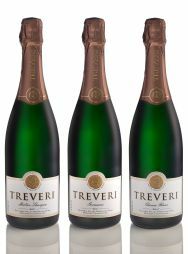 You have real winner Treveri; you must get the word out! From David Goss of Richland, Washington on 8/6/2015 . 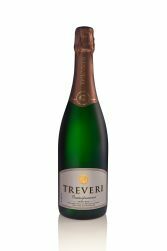 An excellent summer sipper, this sparkler has just the right sweetness to please any palate. 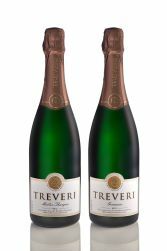 My wife loves it and it is not too sweet for me so really strikes a nice balance. We keep several bottles on hand because it suits every occasion so well.